The early '90s were a rough time for the horror genre, which tumbled from the heights of its 1980s successes as franchises crumbled and studios lost interest. But in that time, a few bonafide classics did come along, appearing like oases in a desert wasteland. One of those classics was writer/director Bernard Rose's Candyman, which was based on a story by Clive Barker, and which - like Barker's Hellraiser five years earlier - introduced the world to a new horror icon. Barker's story, titled The Forbidden, was set in England, but Rose's adaptation firmly plants its roots in America, the setting being Chicago. 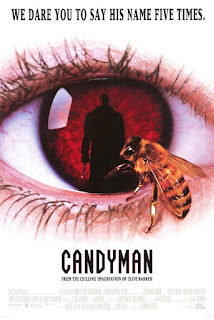 The film follows graduate student Helen Lyle (Virginia Madsen), who first hears of a hook-handed killer called Candyman while doing research for a thesis paper on urban legends. 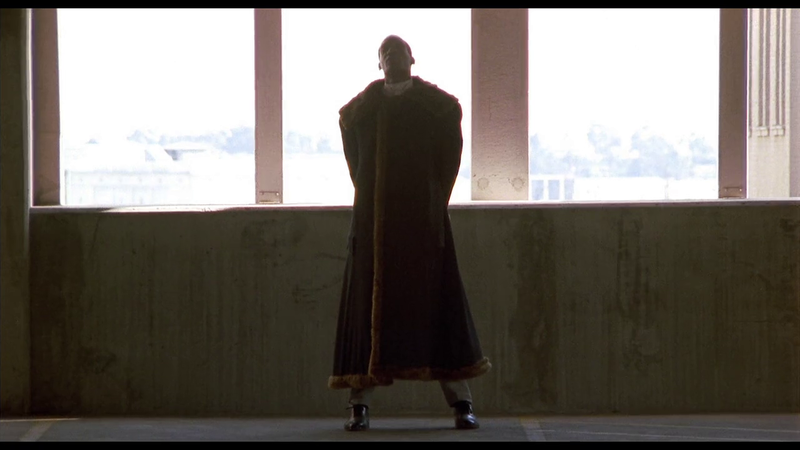 As the legend goes, Candyman is basically a male version of Bloody Mary: look in a mirror, say his name five times, and he'll appear and kill you. They say Candyman murders his victims so brutally, mutilates them so terribly, that the hair of the people who find their bodies is instantly shocked white. Helen soon learns that locals believe Candyman lives in the Cabrini-Green projects, so she and her friend Bernadette (Kasi Lemmons) go to this rundown, dangerous place in search of the truth behind the legend. I almost find the stretch of the film when Helen is trying to find a reasonable explanation for the Candyman legend to be even more interesting and disturbing than when the supernatural being reveals himself to be real - like when she discovers that a woman in Cabrini-Green was murdered by someone who entered her apartment through her bathroom medicine cabinet. There is no wall behind the medicine cabinets in these projects, if you move the cabinets you can look right into the next apartment. So if a criminal entered an apartment this way and killed someone, that could explain why the legend says Candyman appears when you call him through a mirror. This idea is made even more troubling when you learn that this really was the case in at least some Chicago projects, and a woman really was murdered by someone who entered her apartment through the medicine cabinet. This is one example of how Rose's decision to move the location worked to the film's benefit. Another troubling story told about Candyman's reign of terror at Cabrini-Green concerns a young child being castrated in a public restroom there. It's rare that a horror movie would ever go so far as to include something like that... And in that same public restroom, Helen encounters a hook-wielding local criminal who calls himself the Candyman, using the legend to make himself seem more intimidating. Murders committed by flesh and blood killers, criminals using the legend to their advantage, these are an intriguing look behind the curtain of an urban legend. It makes sense that these sort of down-to-earth things would be at the root of such a fantastical tale. But by seeking to explain the legend, and by getting this fake Candyman locked up, Helen instead proves that the Candyman really exists. He lives off the fear generated by the people who believe in the legend, and when Helen shakes their belief by giving these explanations it threatens his immortality. So he has to appear to her, has to stir up more fear, has to shed innocent blood. Candyman is proven to be real around 44 minutes into the film, and he spends the rest of the movie tormenting Helen. While reviving his legend, he makes Helen look like a maniac - framing her for murder, making people believe that she has gone mad. It starts when he has her wake up in an apartment where a dog has been decapitated with a meat cleaver, its blood has been splashed all over the place, and a mother is screaming over the crib of her abducted child. I was nine years old when I first saw Candyman on VHS, after my older sister had rented it. I had already been a horror fan for years at that point, I had watched all of the famous slashers over and over - and nothing I had seen before disturbed me like this scene disturbed me. This stuff was on a whole different level. Her college professor husband (Xander Berkeley) doesn't seem to mind that Helen is being put through a living nightmare; with her in a mental hospital, this is the perfect opportunity for him to move in the student he's been sleeping with. This cheating subplot is another thing that disturbed me when I was nine. As Helen learns, there is more to the Candyman legend than crimes in the projects, even more to it than when it branches out to places like small town Indiana for a story of a babysitter whose plan to lose her virginity to a motorcycle riding bad boy (Ted Raimi playing against type) was ruined when she playfully called on Candyman. The legend stretches all the way back to 1890, beginning with the tragic story of an African American artist, the son of a wealthy former slave, who was hired by a white landowner to paint a portrait of his daughter. The artist and the landowner's daughter fell for each other, a child was conceived, and the landowner responded by hiring a bunch of hooligans to kill the artist. He was beaten, his right hand was sawed off, he was slathered with honey and stung to death by bees. His body was burned on a pyre, his ashes scattered on the ground where the Cabrini-Green projects would someday stand. Now there's a reason for him to haunt Cabrini-Green. Candyman is a brutal character, but he takes a softer approach to Helen, trying to woo her into joining him in murderous immortality. Actor Tony Todd gets to be a frightening, imposing figure as Candyman, but also gets to act a bit seductive while delivering monologues to Helen and asking her to be his victim. There's a hint that he does this because Helen might be the reincarnation of his lost love - it's reminiscent of the scenario presented in Bram Stoker's Dracula the same year. Although it's entrenched in a world the classic monsters never ventured into and even though it features horrific violent acts that you wouldn't find in an old school Universal picture, Candyman does have sort of a classic monster feel - it seems fitting that it calls to mind Dracula, and that Todd refers to the Candyman character as his Phantom of the Opera. It's an excellent, creepy film with an intelligent story that is quite well told. 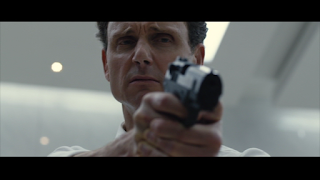 The film is carried on the shoulders of a strong, determined heroine who is pitted against an unforgettable antagonist. 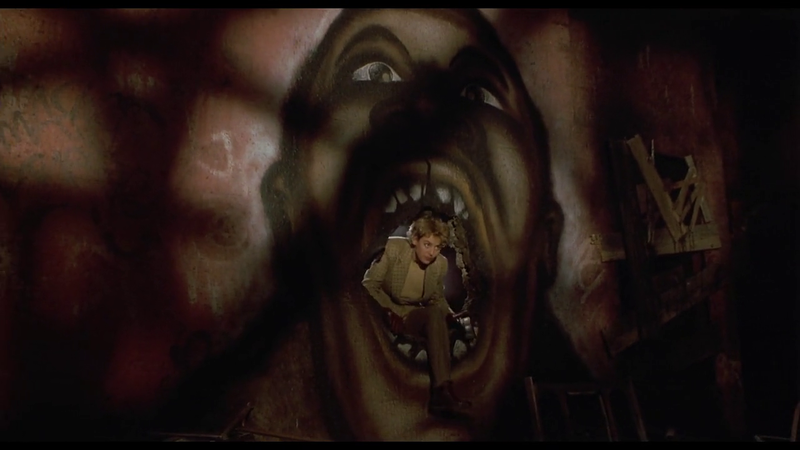 Candyman stands out among the genre offerings of the early '90s, it was a great horror movie when the genre desperately needed some great horror. And it's great enough that it would have achieved classic status no matter when it was released. 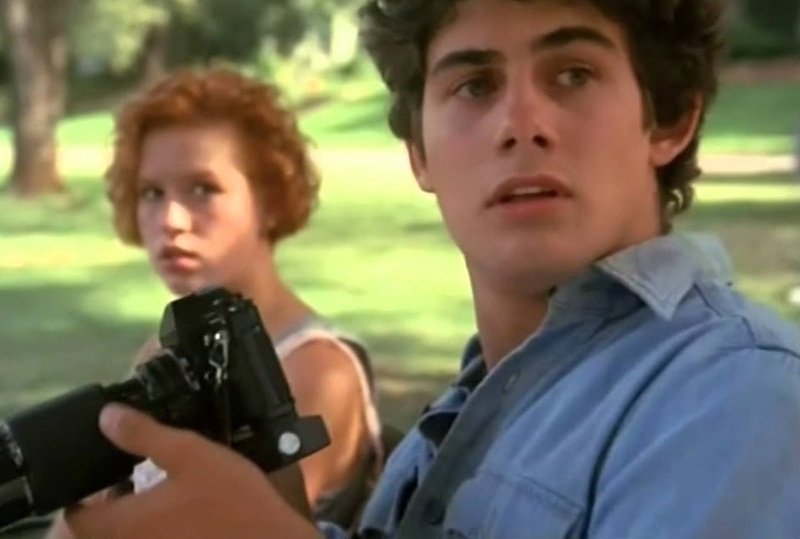 The 1985 TV movie Surviving seems to have been mostly forgotten and all but lost, despite having a cast that includes Ellen Burstyn, Zach Galligan, Molly Ringwald, Paul Sorvino, River Phoenix, and Heather O'Rourke. As far as I can tell, it has only been released on VHS - with the most prominent VHS release featuring the worst cover possible, just sporting a couple publicity shots of Ringwald and Phoenix. That's not fitting at all for a movie that really lives up to its alternate title, Tragedy. Scripted by Joyce Eliason and directed by Waris Hussein, who was at the helm of the first episode of Doctor Who ever made, Surviving / Tragedy deals with the subject of teen suicide and stars Galligan as Rick Brogan, a young man with a promising future who gets romantically involved with his longtime friend Lonnie (Ringwald), who has just returned home after a suicide attempt that landed her in a psychiatric hospital. Mainly focusing on Rick and Lonnie's relationship, the film builds the characters up for about an hour, then brings their world crashing down. The second half of the movie is then just one heartbreaking scene after another that not only pummels the emotions of the viewer but also serves as a great showcase of the skills of its cast. In addition to the actors previously mentioned, Len Cariou and Marsha Mason also turn in some terrific performances here. It's a shame that Surviving / Tragedy has slipped into obscurity, because it's an effective, emotional drama that deserves to be seen. Prequels are a tough thing to pull off, because often the audience will be way ahead of the characters in the film - we've seen the future, after all. The toughest sort of prequel to pull off may be the horror prequel, because chances are that the main characters are all going to be wiped out if the villain was doing their thing with no trouble in the movie the prequel is set before. Such was the case with films like The Texas Chainsaw Massacre: The Beginning and the other Texas Chainsaw prequel Leatherface, and that's also the case for the Malevolence prequel Bereavement. Writer/director Stevan Mena was working with a higher budget on this film than he had on Malevolence, and was able to get some impressive names for the cast: future Texas Chainsaw 3D star Alexandra Daddario, Michael Biehn, and John Savage. But these familiar faces weren't enough to get me to care about the characters when I already knew that nothing was going to turn out well for them. Bereavement begins in 1989 with the abduction of a young boy named Martin Bristol, who has a condition that makes it impossible for him to feel pain, by serial killer Graham Sutter (Brett Rickaby), who turns the kid into his protégé, forcing him to take part in the murders he commits in an abandoned slaughterhouse. Jump ahead five years and our heroine, Daddario as Allison Miller, arrives in town, having come to live with her uncle Jonathan (Biehn) after the deaths of her parents. Malevolence had been a simple movie about a group of people being stalked and killed at the slaughterhouse and the adjacent farmhouse. There wasn't a lot of story or character work in there. Bereavement is the complete opposite; Mena digs deep into his characters here. We see a lot of the Miller family situation, we see how Allison is affected by the loss of her parents, we watch her develop a relationship with local boy William (Nolan Gerard Funk), whose father Ted (Savage) is a handicapped alcoholic. Mena really wanted us to get to know these people... but it all means very little in the end, because we know they have no future. Five years from now, when the events of Malevolence take place, Martin Bristol is still going to be hanging out at the slaughterhouse and farmhouse, killing people. So the Millers and everyone around them are screwed to one degree or another. There is some good stuff in here with Sutter and Bristol, that's what's interesting, that's what really matters. Everything with their victims could have been cut down a bit, because the movie is too long at 107 minutes and details like the condition of William's father weren't necessary. Bereavement is a decent movie overall, and maybe I would have liked it better if I had watched it before Malevolence, so I wouldn't have had the knowledge that so much of the story was irrelevant. There were two movies about office workers going homicidal on each other in a locked building released in the same year. In Joe Lynch's Mayhem, it was a rage-inducing virus that causes the drones to turn against each other. In The Belko Experiment, the result of a genre filmmaker team-up between writer James Gunn (Slither, Super, Guardians of the Galaxy, Guardians of the Galaxy Vol. 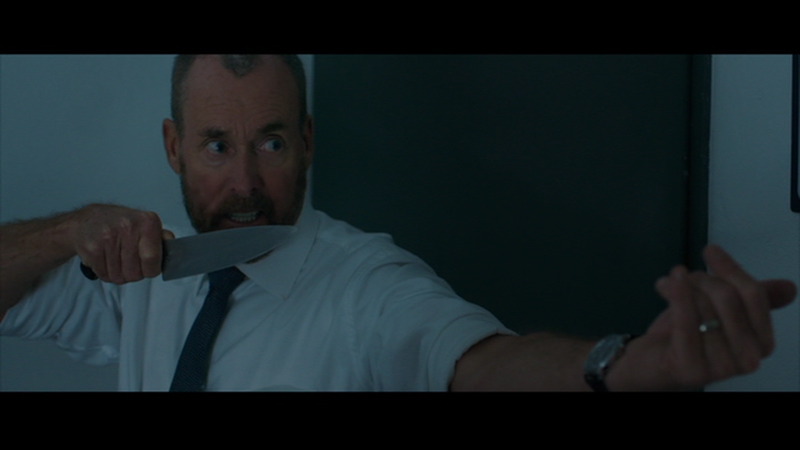 2) and director Greg McLean (the Wolf Creek franchise), there's something more sinister at play: the office workers are being forced to kill each other by the company they work for. The setting for this film is the office building Belko Industries has in Bogotá, Colombia. On this particular work day, the heavily armed guards at the gate have sent any Colombian employee home. The only ones who will work today are the foreigners, of which there are many - eighty, to be exact. Belko helps Colombian companies hire American workers, and they've been very good (up to this point) to the workers they've brought to Colombia themselves, providing not only a job but also an apartment and a vehicle. Minutes into the workday, the entire building goes on lockdown, an indestructible metal sliding in place over the doors and windows to make sure no employees can escape. There is access to the roof, but those guards outside will shoot anyone they see messing around up there. A voice comes over the P.A. system to inform the employees that most of them will be dead in eight hours, but during these hours they'll be forced to complete the tasks the voice demands they perform - starting with "murder any two of your fellow employees in the next half hour." The number starts low but increases as the day goes on. If a task isn't completed within the given amount of time, there are repercussions: employees will be killed at random by the people monitoring their activities. Every Belko employee had a tracking device injected into the back of their neck, which the company said was to find them in case they were kidnapped. As it turns out, those "tracking devices" are actually explosive charges that cause a person's head to explode when detonated. There's a great psychological aspect to this film, especially since all of the characters are in their right minds (at least at first) when they find themselves in this "kill or be killed" scenario. While some grapple with the moral quandary involved in having to kill fellow employees so they can survive, others dive right into becoming homicidal maniacs because they're not going to allow any chance that they might not make it out of Belko alive. 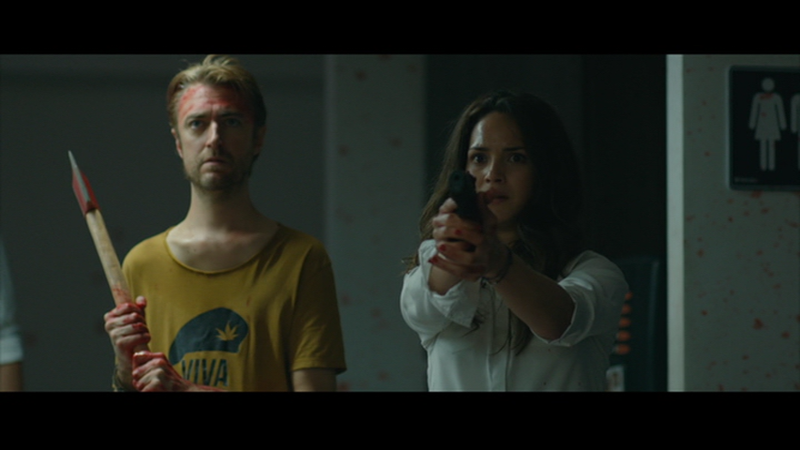 It's the sort of film where viewers can imagine what they would do if they were stuck in such a nightmarish situation, and much like the characters, different viewers will have different ideas on how they might deal with things. McLean and Gunn assembled a terrific cast to put through the wringer here, and the fact that the film has such a large cast was a help when I was first starting out as a news editor on ArrowintheHead.com. While I was just getting the hang of things there, Gunn was releasing casting announcements through his Facebook page, which gave me a lot of news to write about. John Gallagher Jr., Tony Goldwyn, Adria Arjona, John C. McGinley, Melonie Diaz, Sean Gunn, Brent Sexton, Gregg Henry, Michael Rooker, Rusty Schwimmer, Abraham Benrubi, David Dastmalchian, etc... That's a lot of cool people to get to mention in an article. After writing about The Belko Experiment so much before it came out, I found the finished film to be quite entertaining and involving. A fine way to spend 88 minutes.